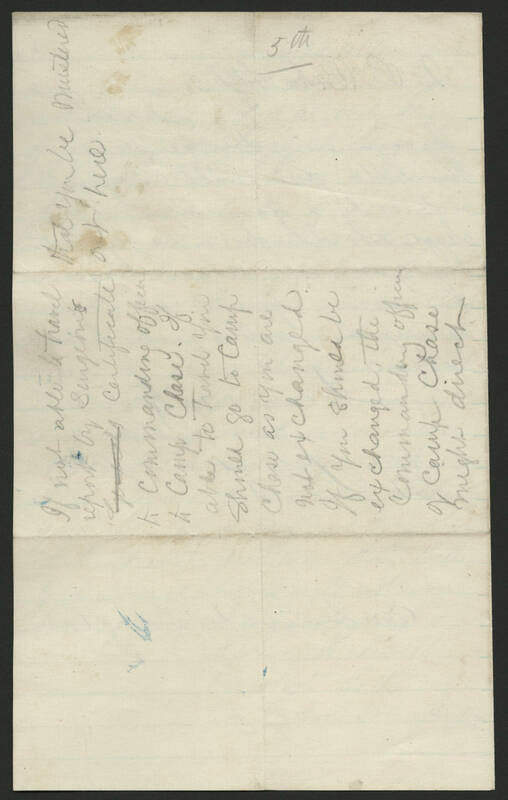 If not able to travel report by Surgeon's certificate to commanding officer to Camp Chase. If able to travel you should go to Camp Chase as you are not exchanged. If you should be exchanged, the commanding officer of Camp Chase might direct that you be mustered out here.